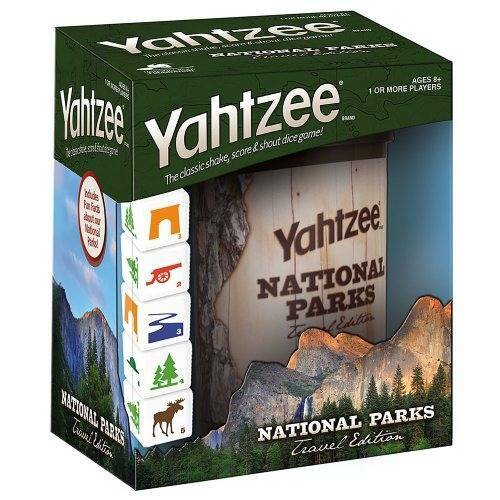 A must-have game for adventurers to play on the go, YAHTZEE: National Parks Travel Edition brings your favorite National Parks to you! Shake up your tree trunk dice cup and roll three Cannons and two Trees, that's a Full House! 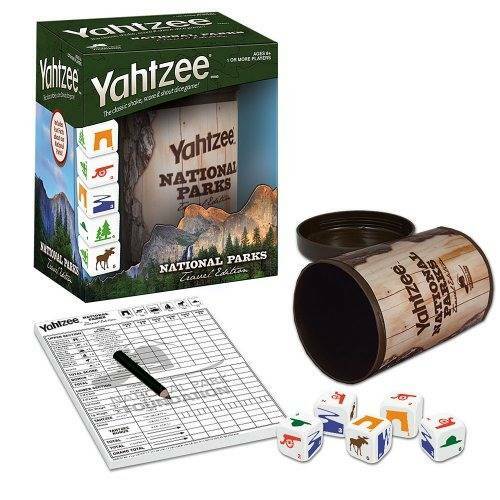 And if you roll 5 Monuments, you've got YAHTZEE! A great game for those who love National Parks or for those who want to learn more about them!